Why this hotel? 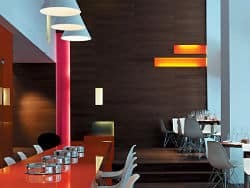 Designer hotel. Central location. Great value. Free WiFi. 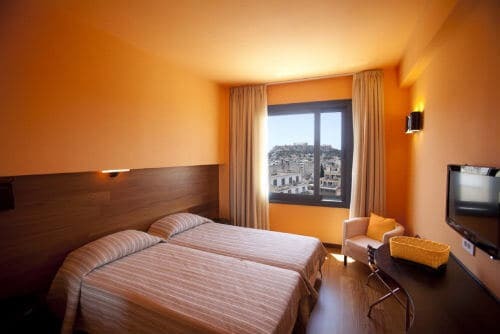 A quality boutique hotel, designed by leading Greek architects of the 3SK Group. 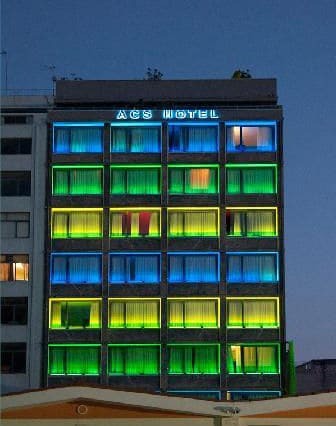 Located next to one of Athens’ bustling markets, ACS offers stylish rooms with a rooftop terrace overlooking the Acropolis. 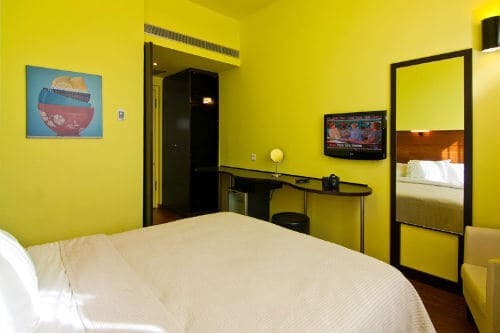 Guest rooms are tastefully decorated in bright colours, each with a large window, flat screen satellite TV, free WiFi, fridge and air conditioning. There’s an onsite bar & café. 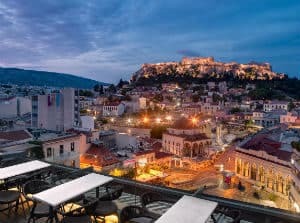 The hotel is about 300 metres from from Monastiraki Square and its metro station. FLEX Sauna is just steps away.